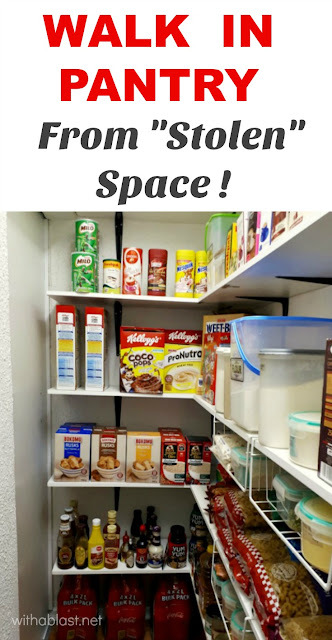 Do YOU have space for a Walk In Pantry ? You might ! 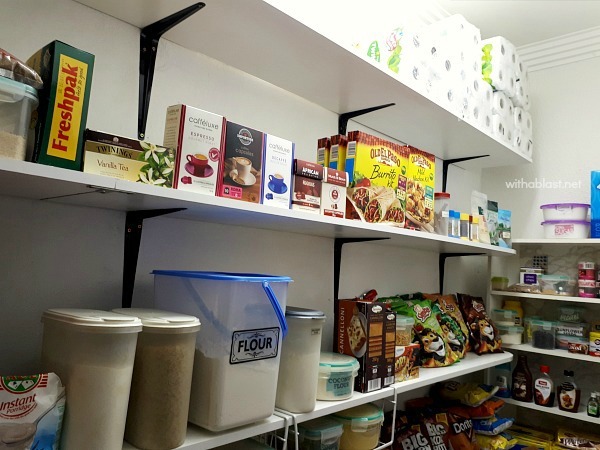 Have a look at how we found space from a room adjacent to the kitchen for our new spacious Walk In Pantry. I also have a (quick!) 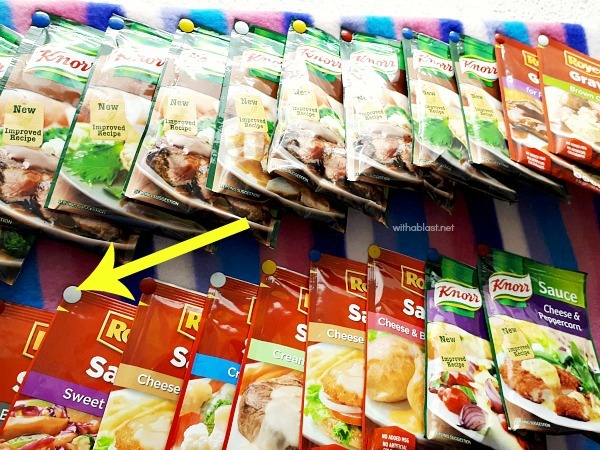 DIY to keep your packets (soups, gravies, marinades, sauces etc) organised. 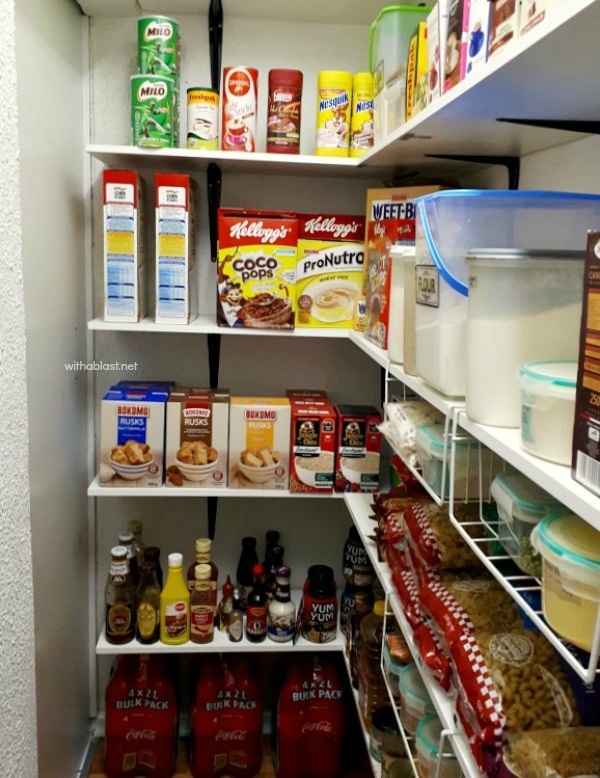 But first the Pantry. 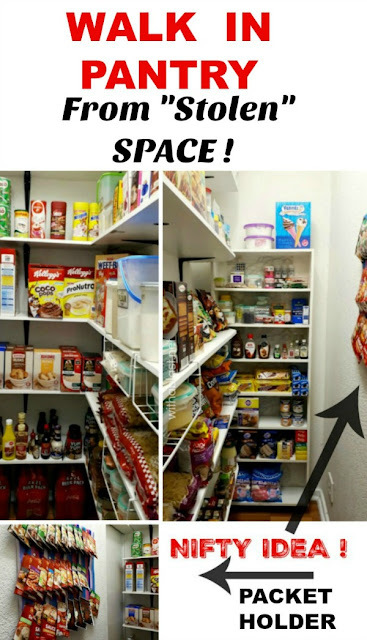 I have always wanted a large enough space to keep all my food in one place. But also organised and most of all to keep sort of a tab on which ingredients have run out. Nope, in our house not everyone tells me they have used the last of an ingredient. Hidden away in a cupboard can go unnoticed until I need the specific ingredient only to find we have run out. Annoying, isn’t it ?? I am one of those people who are absolutely addicted to promotions / sales, especially when it is food. Therefore you will see a LOT of some items and less of others, the LOTS obviously from promotions. The unit at the back used to be on a gliding system next to the refrigerator. 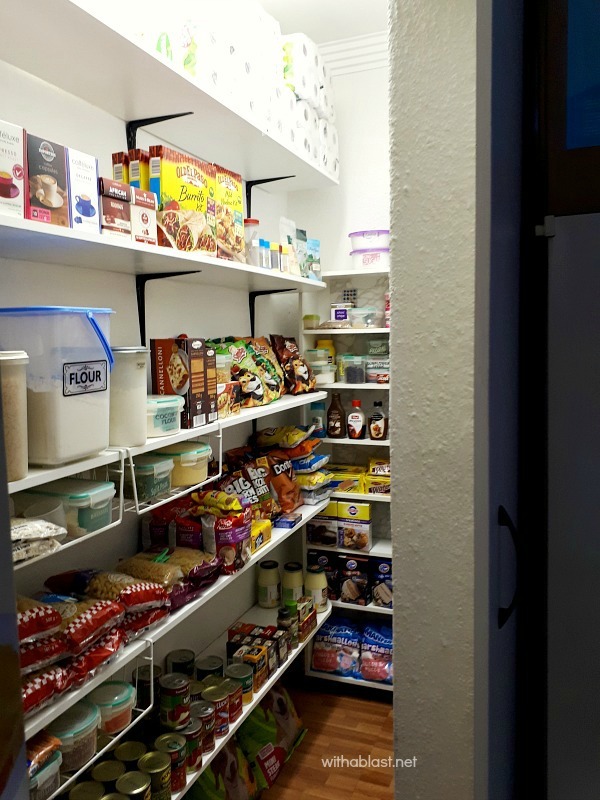 You can have a look at it here DIY Grocery Slider but we have now moved it to the Pantry. 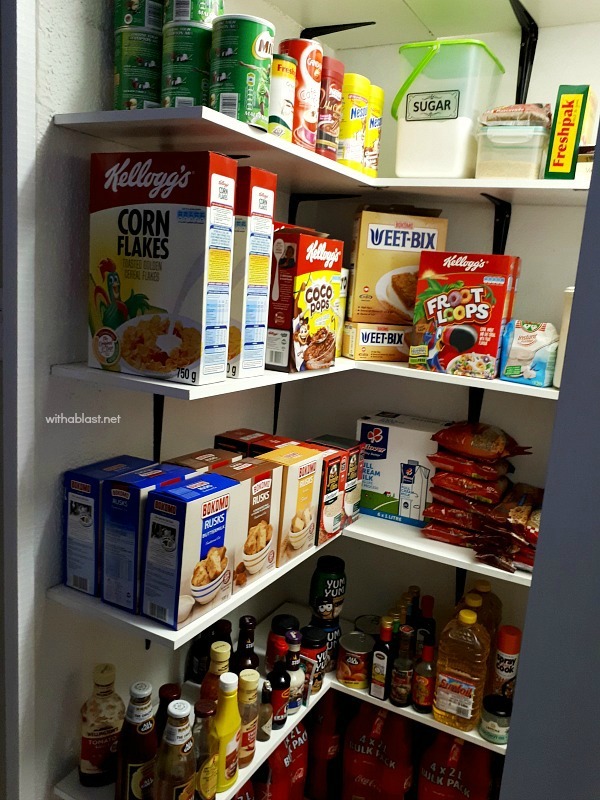 I might keep it, or I might add the same shelves to that wall as the rest of the Pantry. At the moment we are working on such a tight budget, we try to use what we have first. Photo taken from the other side above – the sliding door is on the left. Right, this is where we started. We had a large open plan lounge / dining room area which also had an entrance into the kitchen. Top right (the new Pantry back wall is now built where you can see we started cutting out the laminated flooring in the photo above). This photo was actually taken IN the dining room area, but seeing as our lounge area is so large, we decided to change this room into something different (to follow ? one of these days) and move the dining room into the lounge area. I took some measurements and knew we could do without a small stolen piece for the new room. 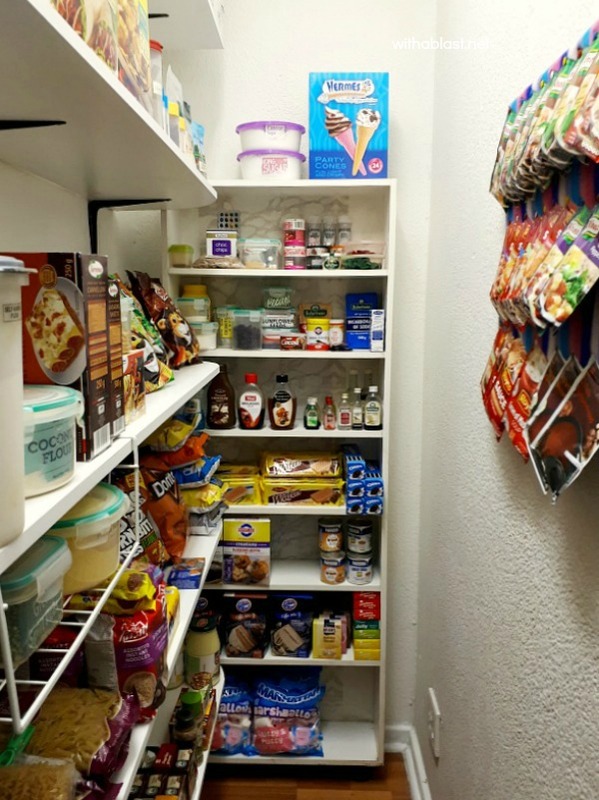 And Walk In Pantry, here we come ! Do you have a room adjacent to the kitchen which can go a little smaller ? I am talking about the full length and the width we took from our old dining area, which is under a meter wide (about one yard). If you have no entrance straight from the kitchen, can you break through a wall ? You might have to give up a cabinet or two, but just think how much you will gain having a large Pantry ! The arrow points to where the new wall is now. We cut out the laminated flooring, then drilled into the cement floor (and walls) in order to stabilize and build the new brick wall. You might have to get a contractor to do this bit. Or if you are a handy builder, go for it yourself. Remember to check with your countries’ safety rules and regulations for building inner walls. The arrow points to the end as I took a photo when my husband had just started. Don’t mind the laminated floors. 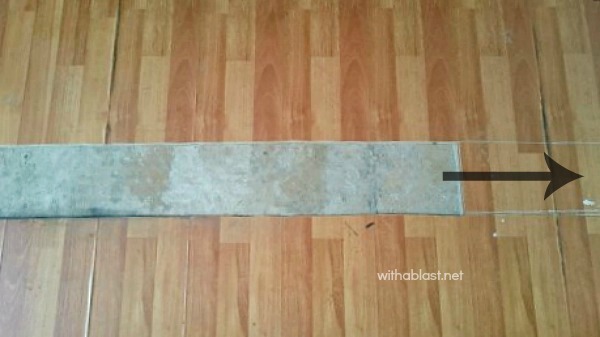 We need new floors throughout the house, which will be done last (only in a few months from now). The Pantry side will get the same as the kitchen and the new room will get something yet to be determined ! Soooo, we painted the Pantry walls, ceilings and installed new cornices (crown molding) . Moved the Grocery Slider (we removed the castors and sliding systems and replaced them with short feet) to the far wall. 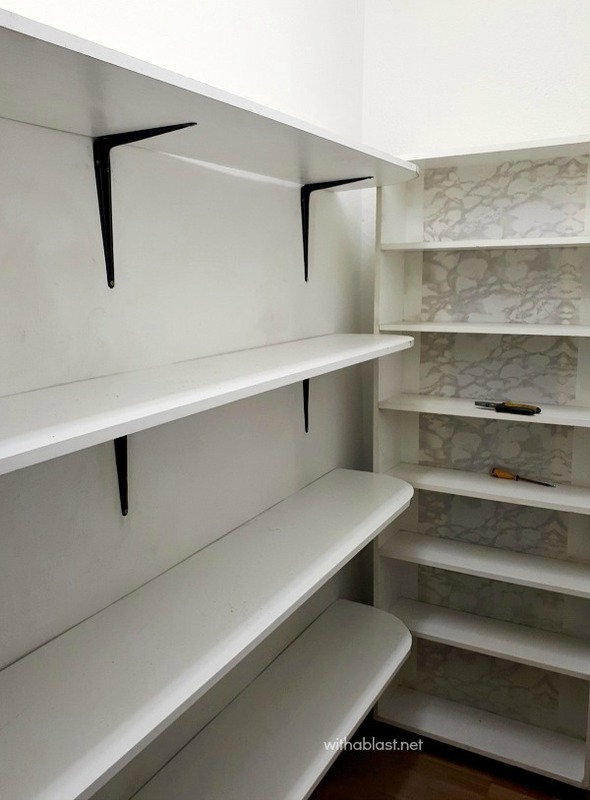 We bought 305mm (one foot) wide Melamine shelving and anchored them to the wall using large, strong black brackets. I like the black / white combination. My husband rounded the corners on the side where the cabinet is against the wall. You can iron on the shelving strips before installation or after, my husband prefers after. I really like these cornices (crown molding) and we are now installing them throughout the house. 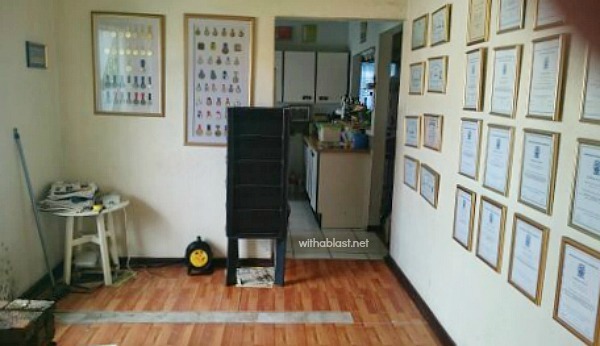 Yep, we are busy with ALL the rooms, except the Kitchen, Laundry / Scullery and Bathrooms. 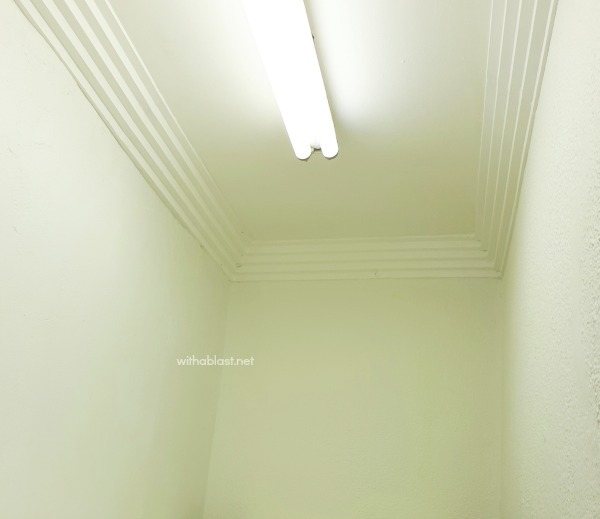 The colors in the photo above is a bit off as the fluorescent light influences it a lot. The walls are a very, very light grey and the cornices / ceiling white. 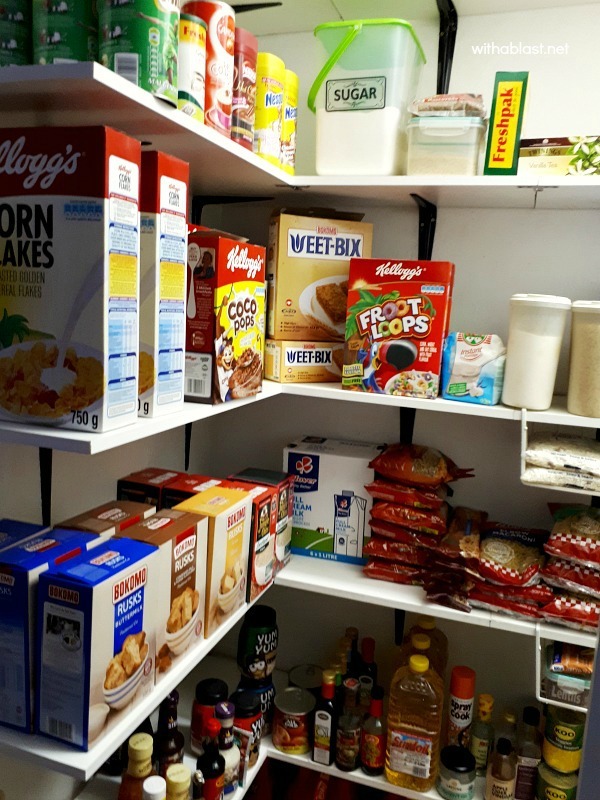 Standing in the kitchen, looking into the Pantry – I like to keep often used ingredients right by the door i.e. breakfast goodies, drinks, sauces. I am not really into different containers, labels and that kind of thing, except when I buy a container with an already stuck on label. 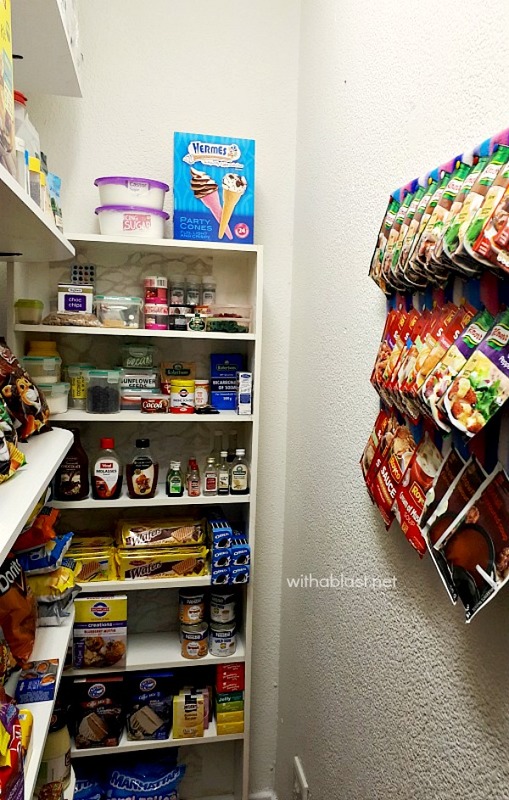 For me, the Pantry is also not a showcase, more a room with a function which I am happy with. I try to keep similar ingredients i.e. sugars, flours, rices, pastas etc together, but I am sure to make a couple of changes in the weeks coming. It’s really all about what works for an individual or family. Our most used goodies, (although everyday ingredients like oil, salt, vinegars are still in the Kitchen) are closest to the door. 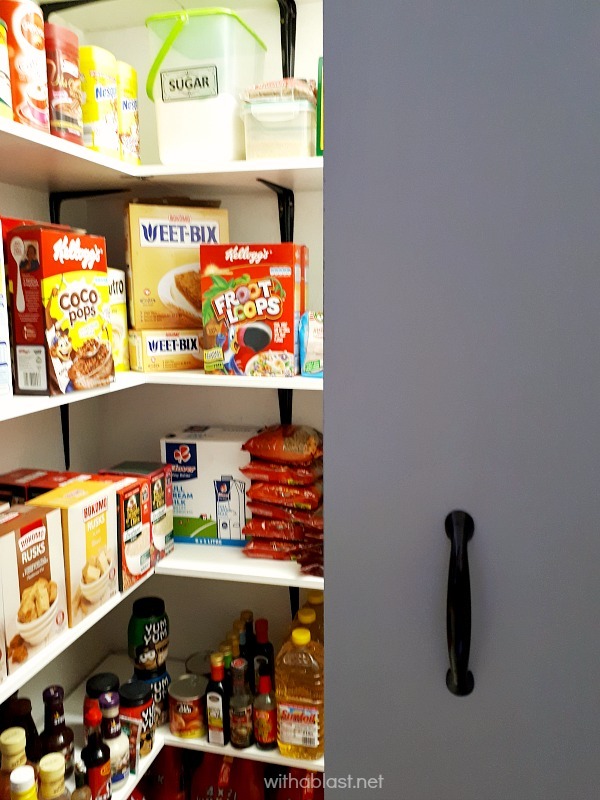 One barely needs to enter the Pantry to grab something and the Breakfast bar is only about three feet away from the Pantry entrance. My Herbs and Spices are still in the same place in the Kitchen where we built a Sliding Spice Rack a couple of years ago. Within easy reach whilst cooking, I do however keep stock in the Pantry of Spices/Herbs which we either use a lot of, or not on a regular base. 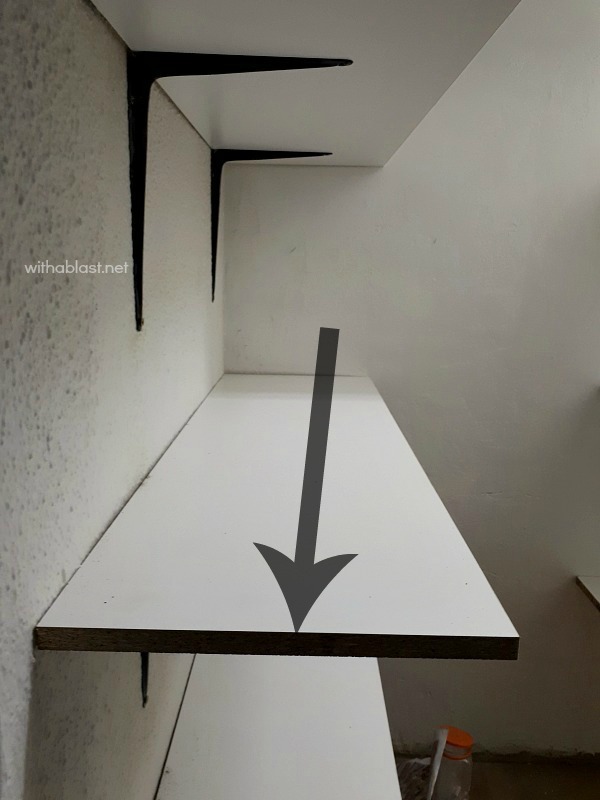 We built a simple door by using white Melamine, cut to our door opening sizes, added the iron on strip all around and hung it on a sliding system. The black Handle used to be on the Grocery Slider. 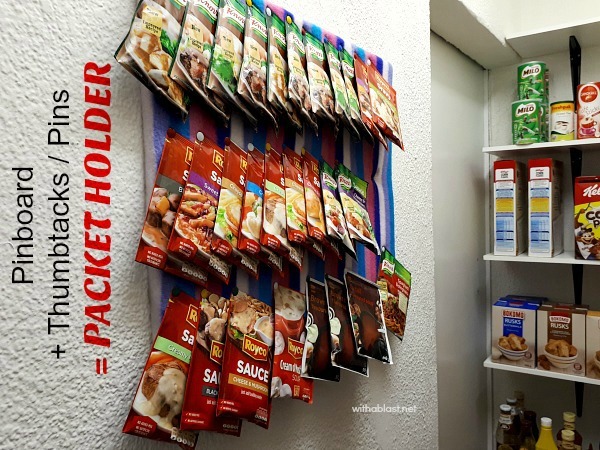 I have always kept my packets containing soups, gravies, sauces etc pinned on a pinboard (used to be on the inside of a kitchen cabinet) which you can either buy – they’re inexpensive, or DIY your own. 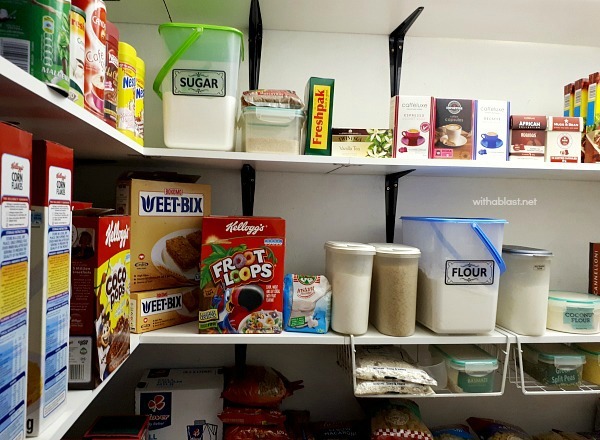 We made a new one and it’s up on the wall, totally out of the way and one can see the various packets easily, without searching through a drawer or box. 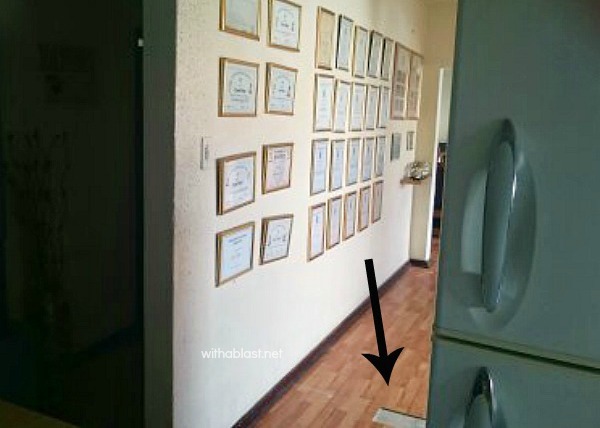 I could not get a descent photo due to the small space, but the packets are all in line pinned in rows and not crooked as it looks like above. We use a LOT of paper towels ! 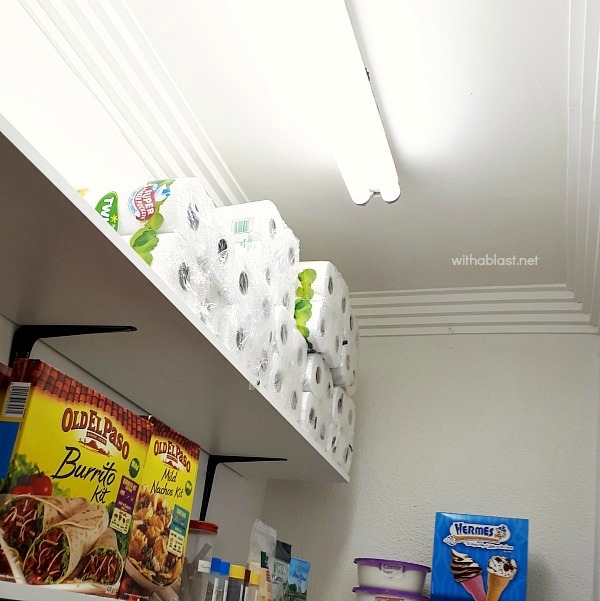 The top shelf is perfect for light, bulky items. I need to do a good stock take and am sure the remaining open piece of the top shelf will come in handy. There you have it,,, this is how we “stole” a space to built our new Walk In Pantry. Hope you found this useful, and if you do, please let me know in the comments section below ! Or tell me about your pantry, whether it be a Walk In, Kitchen Cabinet or a large open area. What a transformation!! I'm sure you are LOVING your new space! Can yo come help me?! LOL!! 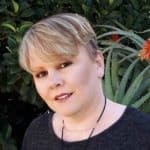 I really love the packet holder – that's such an easy idea! !